What a whirlwind of a trip to Paris! The badgers are back in London after three days of meeting ReactJS developers, hastily starring cool GitHub repos, and having a few too many at the Frog. As a relative newcomer to React it was fascinating to hear about how much the ecosystem and community have grown in just a year. 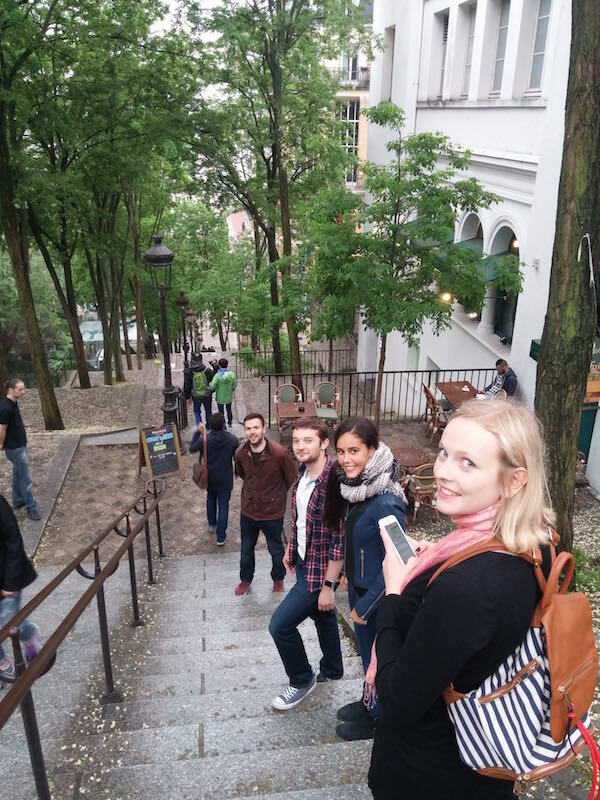 One mark of a good conference is just how badly it makes you want to grab your laptop and start coding, and React Europe certainly gave me itchy fingers. My list of new libraries and technologies to investigate will certainly keep me busy for a while but before diving in I’d like to look back at the conference: what was good, what could be better, and my hopes for React Europe 2017. By far the best thing about React is the community. The sheer number of people building libraries and tools for the framework and its ecosystem is impressive. In part that's due to the culture surrounding React development – to hear “celebrities” like Dan Abramov and Vjeux talk about the importance of humility and encouraging more people into OSS contribution was unusual and refreshing. I also liked that Facebook sent key members of its React, GraphQL, and Flow teams out to Paris — there’s no better way to hear about the future of a technical landscape than from its creators. Jeff Morrison’s deep dive into Flow — having used Flow on my last project I thought this was fascinating. I’ll also be the first to admit I got rather lost midway through. Impressive and interesting nonetheless, it's one I'll watch again with the pause button ready. Jonas Gebhardt’s talk on using React to build better visual programming environments. Tons of programmers get their start in visual languages despite most of them being clunky and removed from more standard coding environments. Although just a prototype, the tool this talk introduced had great potential for improving CS education. Bonnie Eisenman’s retrospective on React Native. Although not technical, I thought this talk was really important, especially to those new to the React community (like me). Out of every talk at the conference this was the one that made me want to get coding ASAP. Andrew Clark’s talk on his Recompose library — immediately useful and interesting, I will absolutely be checking this out for my next project. Laney Kuenzel and Lee Byron’s talk on the future of GraphQL. I haven’t had the opportunity to use GraphQL yet but this talk was well delivered and nailed the balance between accessible to beginners and interesting to experts. I can’t wait to try it out. And a major thanks to all the presenters for being so humble and open to questions about your work. 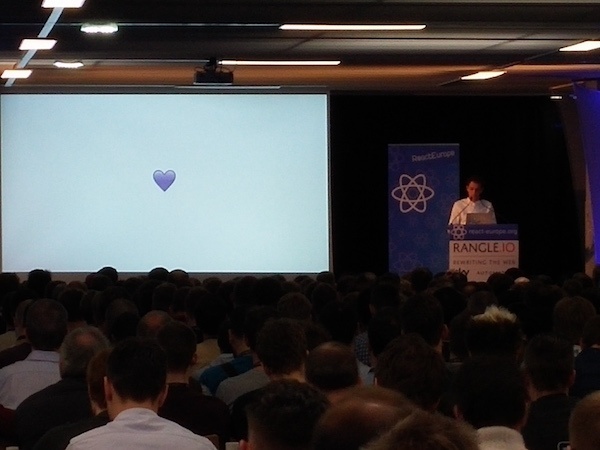 Although I really enjoyed React Europe there were definitely some things I found frustrating throughout the week. Starting with the least important, coffee and wifi were in short supply! This was annoying but I was still impressed with how smoothly the whole thing ran overall — catering for 600+ attendees is very challenging. Next year, I would like the conference to run multiple tracks in smaller spaces. It seemed difficult for the speakers to engage the whole (gigantic) room. Especially if you happened to be seated behind a pillar watching a screen, it felt like you may as well be at home in bed watching the livestream. There was also no alternative event to attend if you weren’t interested in a particular talk. Over the course of the conference, I started to wonder if React is actually a large enough domain for a multi-day event like this one. Very few talks introduced new React paradigms or techniques. Most of the talks could be categorised as either something about GraphQL, something about React Native, or a demo of someone’s new React library. A lot of these were interesting, but after two days, repetitive. Personally I think something like a functional web programming conference might have more value than a React-specific one. However, a major part of the conference was getting to meet React's developers and creators which for me was the highlight of the conference, and not something I'd want to miss out on. And of course my final wish for the next React Europe is a higher percentage of women attending and speaking. I’m used to being a minority in tech but the gender ratio at React Europe was probably one of the worst I’ve ever experienced. In any case, I very much appreciate that the conference had a code of conduct which is step one in making events more accessible to women. Hats off also to some really fantastic women who spoke — Lin Clark, Bonnie Eisenman and Laney Kuenzel all did a stellar job. Overall I had a lovely time and met some incredible people. Hope to see you all next year! Red Badger are hosting the 1st React conference in London next March. If you'd like to be kept up to date with news you can sign up here.